Fordyb dig i Inspektør Morse, Lewis og Hathaway's verden under denne 2-timers vandretur i Oxford. 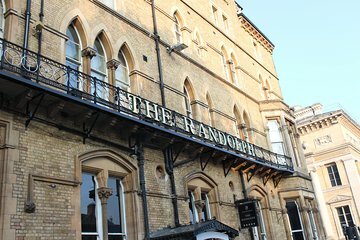 Lyt til historier om byens mest berømte detektiver og stop ved seværdigheder såsom Broad Street, White Horse puben og Randolph Hotel. Mød din guide og gruppe af andre Morse-besatte fans ved siden af ​​Martyrs Memorial på St Giles klokken 14:00 til din 2-timers vandretur. Begynd din undersøgelse af Colin Dexters berømte detektiv skabelse; Oxford er rammerne for både tv-serien og bøgerne. I løbet af din tur stopper du ved steder, der frekventeres af den fiktive Morse, Lewis og Hathaway i det centrale Oxford: Broad Street, White Horse puben og Randolph Hotel. Lyt til din guides indsigt i forestillingen og tegnene, samt Oxfords historie. Gå tilbage til dit udgangspunkt efter 2 timer. Very good guide who knew everything about the Morse, Lewis and Endeavour episodes with some great anecdotes. Made the TV series come alive. She had a good clear voice and we could hear everything she said. We enjoyed this tour very much and would highly recommend it, also a good way to see some Oxford highlights. Thoroughly enjoyed the tour, our guide Elizabeth was excellent, she was very friendly made everyone feel welcome and her knowledge was amazing and made the tour so informative and her love of Morse/Endeavour was very apparent. Excellent tour - informative, fun, non-academic and a great introduction to finding your way around the City. Just brilliant! If you're a fan of Colin Dexter's characters this tour shows you where lots of scenes were shot. The guide had a huge number of enlightening stories that enhanced the walk. This was such a good tour. The guide made the afternoon so enjoyable. The characters came alive as she took us from to another of the many parts of Oxford used in the making of the television series. I would recommend this tour. Extremely knowledgeable and very friendly guide. A lovely way to see Oxford. Sandra was fabulously informed on all the hot spots and their connections to our beloved series! We saw so many great sites, and re-lived some great episodes. Even had a bit of a preview of the next Endeavor season with the pending filming - wow! 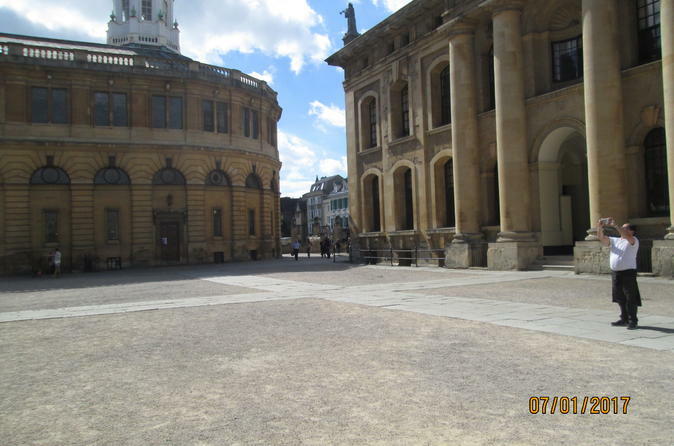 Sandra seemed to know every inch of Oxford, and how and when it might have been used for the show. Very well spent 4 hours - highly recommended. A fun-filled and interesting tour. Heidi was the perfect guide shepherding us through a busy Oxford with practiced ease. Her grasp of the subject matter and her sheer enjoyment of all things Morse added hugely to our enjoyment. We are already planning when we can go again! We took this tour in early May. The guide was VERY knowledgeable about the Morse/Lewis/Endeavor series. There were perhaps a couple of things we'd have preferred to be a bit different. First, going from location to location was done at something like a 'forced march' pace. One had to fast walk to keep up. This was done perhaps so that at each location the guide could spend time describing her encounters with the filming crew and actors in addition to the descriptions of the sites and connections to the series. The walking pace could have been a bit more relaxed if the content at each stop didn't incorporate something of a personal paparazzi feel to it.